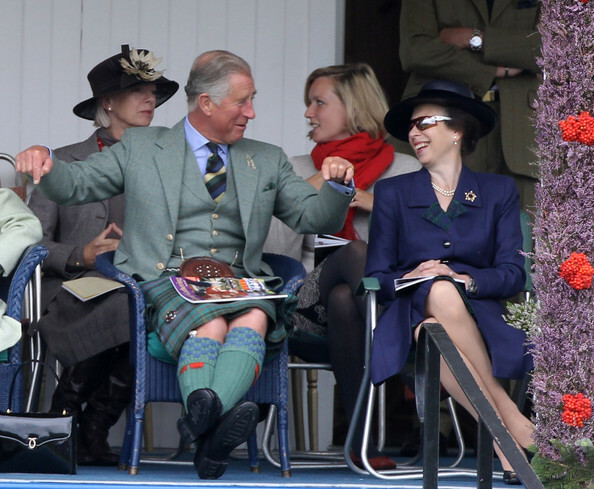 Prince Charles, Prince of Wales and Princess Anne, Princess Royal laugh in the Royal Box during the Braemar Highland Games at The Princess Royal and Duke of Fife Memorial Park on September 4, 2010 in Braemar, Scotland. The Braemar Gathering is the most famous of the Highland Games and is known worldwide. Each year thousands of visitors descend on this small Scottish village on the first Saturday in September to watch one of the more colourful Scottish traditions. The Gathering has a long history and in its modern form it stretches back nearly 200 years.